I used to go to the library every week as a child. Specifically, my parents and I would frequent the Northeast Regional branch of the Free Library. As suggested in its name it was free, accessible, and inclusive. And the purpose of my regular visits to the library was to of course acquire books, novels, to read. Reading has always meant losing oneself into a story and getting to know the characters. It was an intimate act. Even as I’ve stepped further and further away from reading for fun and closer to reading for schoolwork, my understanding of the process has changed little up until recently. That is, this summer I’ve become more acquainted with a different kind of library and a different type of reading. For instance, the Kislak Rare Book Room is secluded, exclusive, and not even known to most of the students who pay thousands of dollars to have easy access to such resources; it is quite the opposite of the Northeast Regional Library. There it is, on the sixth floor, where a select few have the privilege of engaging with rare books, many in which probably have price evaluations that may be equal to someone’s tuition payment. The receptionist at the desk must press a button to unlock the door the leads you into the locker area and another button that opens the door to the actual rare book room. Not only is the atmosphere drastically different from that of the public library, so is the type of reading I’m doing. For instance, although distant to many, the Rare Book Room has become intimate to me. I spend a significant amount of time in that room working individually, one volume at a time, one book at a time. Although, I am working very closely with these books, I am still way more distant than I’m used to. That is, I hardly know any of the characters, I’m not reading most of the text, and my main focus is the para-text. Para-text- a word I never used before END. The preface, running titles, footnotes, advertisements take priority in my cataloging. I’m gathering information about aspects of the book that would normally only receive a few seconds of my attention and these notes have to be condensed into concise and often controlled terms. As someone who has always studied English in its literary sense, END has really forced me to start thinking about the book itself and move away from viewing the it as an insignificant portal to a narrative. The para-text all serves a purpose and I realize that I’ve been doing myself a disservice as a reader by ignoring it for so many years. The preface, the dedication, the inscriptions, all inform the experience of digesting the main content. I now starting to think about the book as an interface for the narrative. Conceptualizing the analog book in this way has been strange and insightful. For instance, early in the internship I and my fellow catalogers visited Penn’s conservation lab. In the lab, they prep books and sometimes modify them in an effort to optimize the experience of using them. I will never forget when Sarah Reidell, Head of conversation, explained the process of “washing” pages. Washing pages! As in actually and intentionally placing liquids onto paper. I was completely surprised that a process like this existed. Apparently, there are chemical solutions that can be used to remove marks on pages, making the documents more useful and legible once dry. There’s is no denying that the book itself from the pages, to the cover, to the housings, affect one’s reading experience. Reading will never be the same. 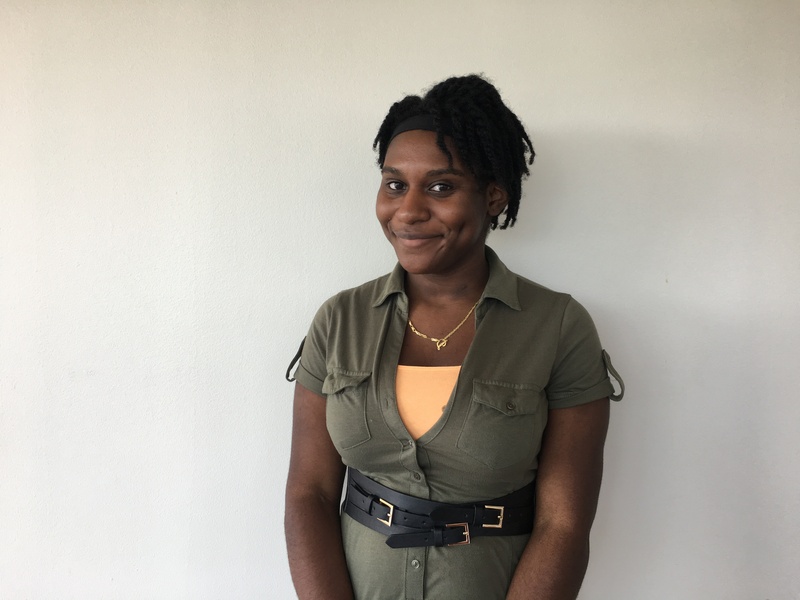 Kelsey Desir is a rising senior English major and Africana Studies minor at the University of Pennsylvania. As an END student researcher, she examines the presence and depiction of characters of color in 18th century literature. She also spends an exceptional amount of time watching reality television—for social research purposes of course.